This is a square flange Ladies Rest Room porcelain sign. This particular Ladies Rest Room sign is white with black print. 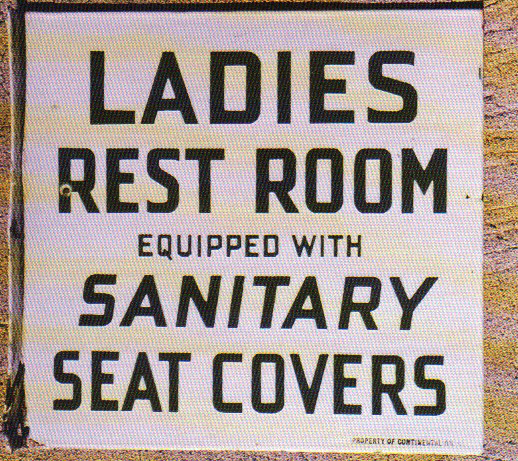 It reads, “Ladies Rest Room Equipped With Sanitary Seat Covers”.